I have just finished reading two books a friend recently sent me from Australia: "Brown Americans of Asia" and "As I see It - Filipinos and the Philippines." Both books are published in Australia. I found both books (paperback) pleasantly easy to read, extremely worthwhile and thus highly recommendable. I am not in anyway a book reviewer (and I note the books have good reviews from acclaimed or known Filipinos), however I want to share here some of my impressions regarding these two books since I have found both very informative in terms of our country's history and of ourselves as a people, and because they introduced me to two Filipino writers (I confess ignorance about them) who offer fresh insights about us Filipinos; and a knowledge about Australia and Australians as they interact with us. These two paperbacks among a few other books, most especially those by the late nationalist Prof.Renato Constantino, also address directly and indirectly, the roots of our colonial mentality, our so-called "damaged culture" which result to our lack of national consciousness, and therefore absent national unity and dignity, in turn the consequent underdevelopment and more aptly, the socioeconomic regression in our homeland. The first book "Brown Americans of Asia" was by Renato Perdon, a Filipino historian based in Australia. Its catchy title, not new to the young and older Filipinos, who read history, is appropriate given the contents of the book. This book provides an excellent historical overview of our homeland, the Filipino character and culture. Though the book was originally written for Filipinos and Australians alike, it is relevant and educational also for any foreigner -wherever he is in the world- interested in learning about Philippine history and the Filipino people. The book includes chapters on the historical linkage between Australia and our homeland and how we are perceived or seen by Australians, then and now, coupled with profound thoughts and great information which are both new to me and to many Filipinos, I venture to guess. I feel appreciative and grateful to find them here. "Brown Americans of Asia" is split into two parts. Part 1 deals with what Perdon tagged as "Current Images;" Part 2 talks about "Historical Issues." In Part 1, Perdon begins with Australian historical and present perceptions, includes stereotyping, of Filipinos in our homeland and in Australia. He discusses mixed marriages, i.e. between Filipino women and Australian men and provides us with interesting commentary on the "why, what, how" of these cross-cultural marriages. On another chapter he dwells on the past and present symbols of Filipino ethnicity such as our flags, food, clothing and even names. Perdon leaves Part 1 by touching on our well-known image of being the only Christian country in Asia and our quite unique practice of faith and religion (mainly Catholic), about Church and State interaction, and the large divisive relationship with our Muslim brothers. In Part 2, Perdon gives us a good refresher on Philippine history. He starts with the British invasion and its brief occupation of Manila during the 18th century, during which time Manila residents were made to take an oath of allegiance to King George III; he then continues on to talk about the rise of national consciousness, i.e. seeing and thinking that "bayan" represents the whole island territories as opposed to referencing just that little corner of province or region where one was born and/or live; and our forefathers' struggling for mainly political independence from the Spaniards. Furthermore, the author informs us about the early trade links between Australia and Spanish Philippines that began in the mid-19th century and deliberates about Australian observance and indirect participation (actually cooperation) with the invading and later occupying, duplicitous Americans. Perdon also talks about Australian and British perspectives on the Philippine-American War and the British desire to purchase from and/or exchange our rich islands for the American protectorates in the Caribbean, as proposed by Andrew Carnegie, the richest man of the world at the time. Perdon goes on by informing us about Filipino pioneers in Australia and speculating about their arrival during the 1850s; mainly in Thursday Island, northernmost part of Queensland (I say that seemingly we Filipinos are like the Chinese in being "all over the place;" most especially now that a significant number of us are forced mainly by economic reasons to leave, thanks to our traitorous leaderships in the last three decades to the present). In the last chapter, Perdon devotes it to a certain Heriberto Zarval, claimed to be the first Filipino (said to be a Portuguese-Spanish-Chinese-Malay hybrid) diplomatic agent to Australia sent by the Philippine Revolutionary Government in 1898 and who settled in Thursday Island. In summary, I find "Brown Americans of Asia" one of the better outlines on Philippine history and people because of the author's insights, his novelty of topics, the inclusion of numerous historical pictorials (first time to see such a collection) and its good bibliographical sources from Filipinos, Australians and as usual, Americans. "Brown Americans of Asia" is uniquely different from the common Americanized, standardized or popularized books on Philippine history given its insightful scope; thus makes it worth reading and having. If only to learn about Australian-Philippine historical relationship then and now, the Aussies and their perception of us Filipinos, the book is worth buying and reading. To me, the book really offers more than that. “The HISTORY of an oppressed people is hidden in the lies and the agreed myth of its conquerors.” - Meridel Le Sueur, American writer, 1900-1996"
The second book, "As I See It: Filipinos and the Philippines" for several reasons emotionally touched me as a person and as a Filipino because its author, Pura Santillan-Castrence wrote very personal commentaries (also with nostalgic and historic photographs); on herself as a career woman and a parent, on our past and present Filipino society, our culture and tradition, our past and present value system, our history as a people, our future in the "old" country; its present politics and predicament. I find the author very intelligent, smart, caring, and actively nationalistic; and full of wisdom all rolled into one. An added amazement is that she has a keen memory and observation, still truly cares for our homeland, and lives to learn and be continually productive and contribute to our education as Filipinos, despite losing her sight due to advanced age, now approaching 101 years old next month, March, 2006 as per the Preface! Who can beat that? It is very rare indeed that someone who knows and has lived through a full century also observed and studied our Filipino character and society. It is also surprising to know that the author was educated and trained in Pharmacy with a Masters in Chemistry (UP) and to instead become a pioneering and prolific writer and social commentator; she capped her university years with a Doctorate in Philosophy. She also is a linguist, being fluent in Spanish, French, German, and Italian; in addition to English and her native dialect, Tagalog. With all these backgrounds, it is not surprising that she won so many accolades in the Philippines and abroad. I am so impressed and proud of her being a Filipino. I feel like I could go on and on but, you can find all about her this book. Going back to "As I See It: Filipinos and the Philippines," Santillan-Castrence introduces us to her book of collected commentaries, first on the subjects of "Family, Friends and Old Age." Here she reminisced her past, of another milieu, another time for most of us. She talks about her family, her friendships and old age. She reminds me here some of my (our) learned "old" Filipino values which are worth keeping and, if I may add, now probably being lost in the "pop/western" influences strongly facilitated by our unquestioned and copycat television programs. An observation she described, to which I heartily agree, was that we Filipinos are not a ‘book people.’ we Filipinos do not want to read. Truly, to many of us who have time and/or money to afford to read, i.e. beyond our specialized professions, preference seems to be spending leisure time on purely mundane activities: making more money, partying, gossiping, shopping and other escapist pursuits. 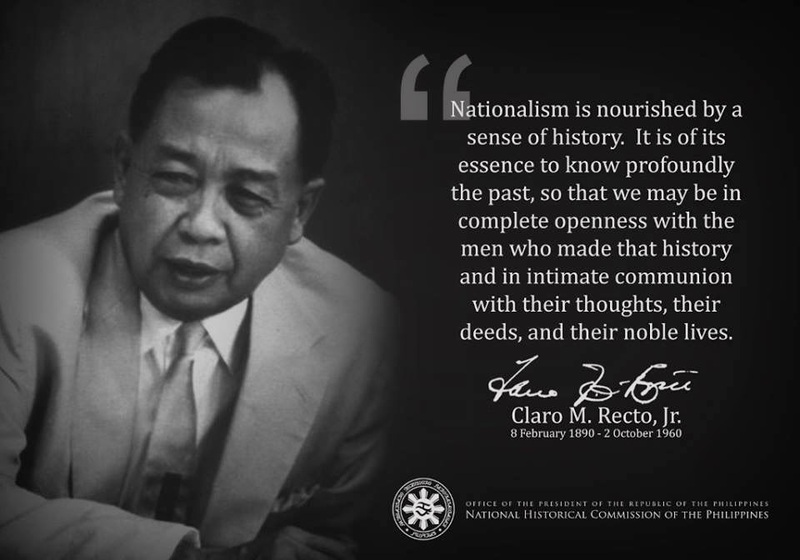 Thus, even very intelligent fellow Filipinos have stunted intellectual growth, one indication being our failure to develop critical thinking on social issues, the inability to comprehend the roots of our national predicament and thus by default, contributing to its perpetuity. She notes that we Filipinos used to have a high literacy rate but did not read extensively; in comparison to the Japanese who widely read and learned the values of social discipline and responsibility. She suggests that we learn from the Japanese. With the chapter on "Filipino Culture and Tradition", Santillan-Castrence talks about our "damaged culture," the notions of: equality and identity, knowledge and wisdom, sexuality and integrity, the joy of teaching, gift-giving, language, right conduct and moral imperatives, and more on being old. It is so rewarding to read all about these topics because they are up front and personal, relevant and most importantly replete with wisdom, which I think, is rarely attained; and gained only by a good synthesis of formal/informal education, knowledge, real life experiences and of course, age. Under "Philippine History," she writes about a group of womenfolk from Malolos -a group said to be commended by Jose Rizal- who wanted to learn Spanish. Interestingly, the women were taught by her uncle Teodoro Sandiko, who later left for Europe for political reasons. Thus the topic and development here is also very personal to the author; and very new and interesting to any reader. Another chapter is covered under "World Stage," in which Santillan-Castrence demonstrates her broad knowledge of current world affairs and world conflicts. She also reflects on materialism and spirituality, with linkages to the Dalai Lama and Buddhism, about leadership models such as Nelson Mandela, Archbishop Desmond Tutu and Kofi Annan in contrast to the self-righteous and bullying Americans like George W. Bush. She alludes to the Filipinos' own lack and incomplete education with respect to the intellectual (beyond business/scientific/technical specializations), humanitarian and moral; in this latter, we Filipinos identify and limit morality to sexual morality, and excludes public or social morality thus greatly contributing to the bad governance, corruption and chaos afflicting our homeland. Her book ends with a remembrance of her Filipino peers or contemporaries, great literary and patriotic ones too; such as Salvador P. Lopez, Bienvenido Santos, Lydia Villanueva-Arguilla, Nick Joaquin, F. Sionel Jose and several others that she named. (I am a chemical engineer, and was not really into Literature in my years in school, thus not familiar with most of them or their writings; but now I have leads on who to read). One of her granddaughters gives a nice description of her, followed by a list of enlightening and/or moving quotable phrases from the book. I copy and shorten some as samplers below. I think Mrs. Pura Santillan-Castrence is a Filipino treasure given that her life encompasses more than our recent century, and includes the times of her parents, of the Spanish period. I feel fortunate to obtain a copy of her book which made me more aware of the greatness of our Filipino heritage, despite the continuing pervasiveness and destructiveness of our, wittingly or unwittingly, colonial mentality, naiveté, mendicancy and subservience in particular to our former master, America and which we really have not filtered completely out of our Filipino Mind. As I See It: Filipinos and the Philippines" is a book to read, own and pass to our children and grandchildren. I goggled to check about their availability, I found that they are available in Australia, England and the Philippines, but apparently not yet in the USA. Anyway, the books show that the publisher is: THE MANILA PRINTS, P.O. Box 1267, Darlinghurst NSW 2010. AUSTRALIA; Tel. (02) 9313 8179. Quotations from book "As I See It: Filipinos and the Philippines:"